Steel Gaze is a 2013, 16.3 hand dappled gray Thoroughbred gelding who recently finished a short racing career. He has no vices. He has raced only raced ten times and is believed sound for any career. He is being sold from his breeder so his entire history is an open book. UPDATE February 14, 2017 – Steel Gaze has been SOLD! Congratulations to Ruth Ahearne of Asheville, NC! Please read the FAQs on this page before you call. Call us to get the buying process started. 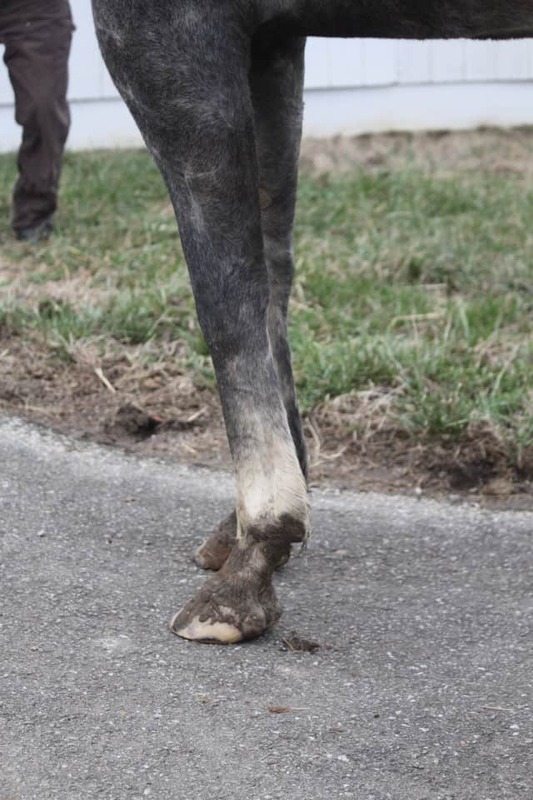 What is the price of this horse? 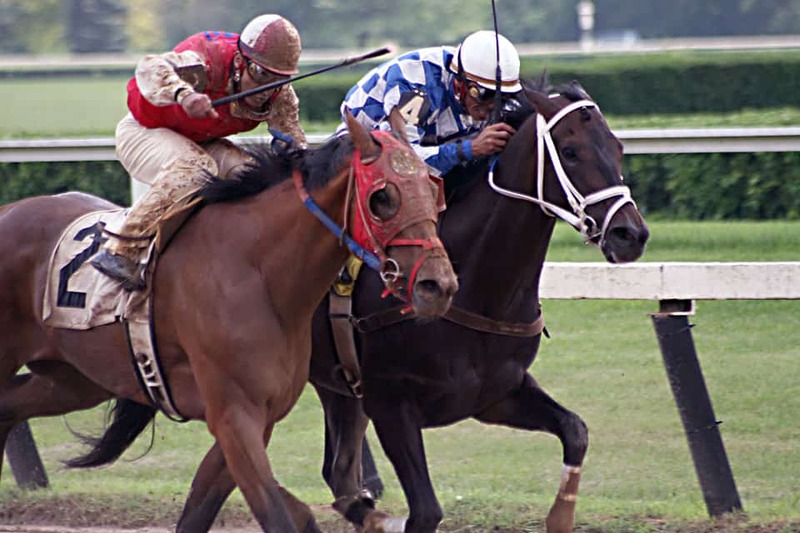 Prices are not published because the price can go up or down depending on how the horse is racing. 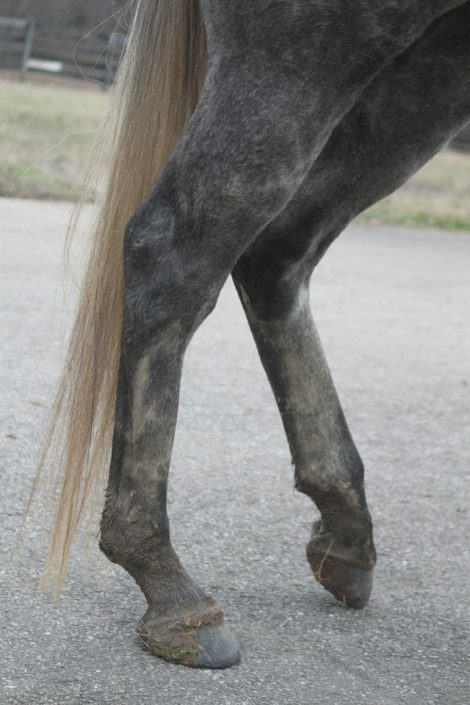 Most horses average $3500 but can be as low as $1000 or up to $5000. We will share the prices when you call. If the horse you call about is not in your budget, we may be able to recommend another horse that is. What is the Jockey Club name of this horse? 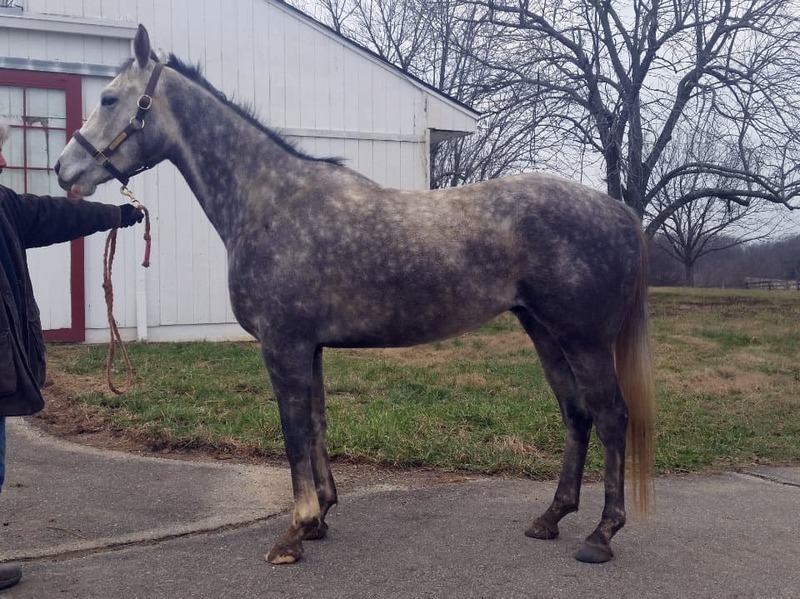 Jockey Club names are not usually listed on the site as the sellers do not want calls from people who have not been screened by us for having the skills to help these horses into new careers. 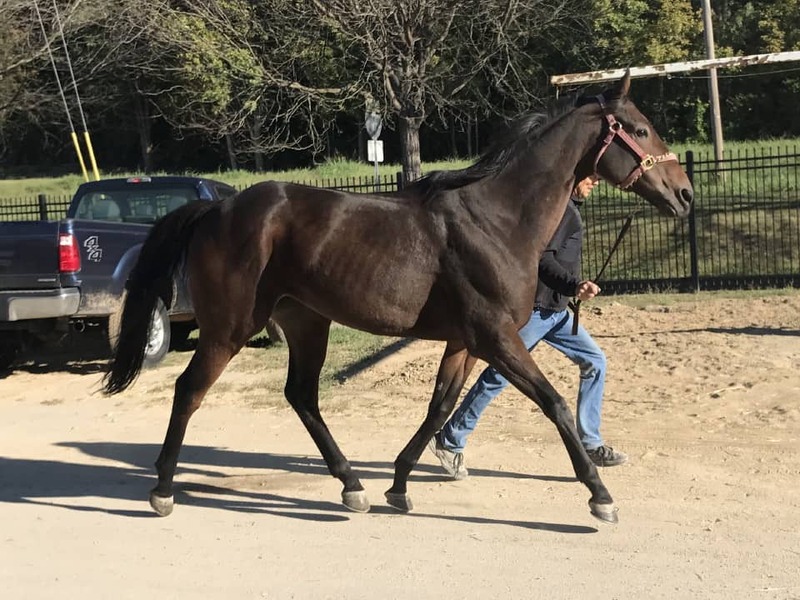 Most horses come with their Jockey Club papers and we will be happy to provide links to their race records and pedigrees when you make the decision to move forward with a purchase. Horses’ whose names are in quotes are not the actual name of the horse. That is the nickname we have listed the horse by. 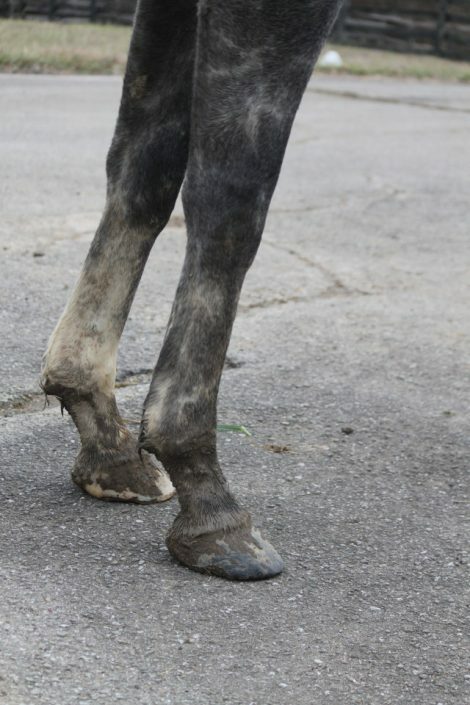 Where is this horse located? 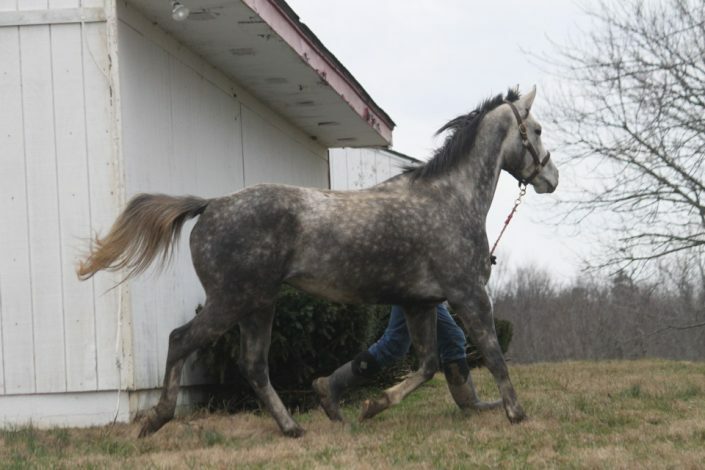 When we say this is a Prospect Horse, that means the horse is not at our farm in the Atlanta area. 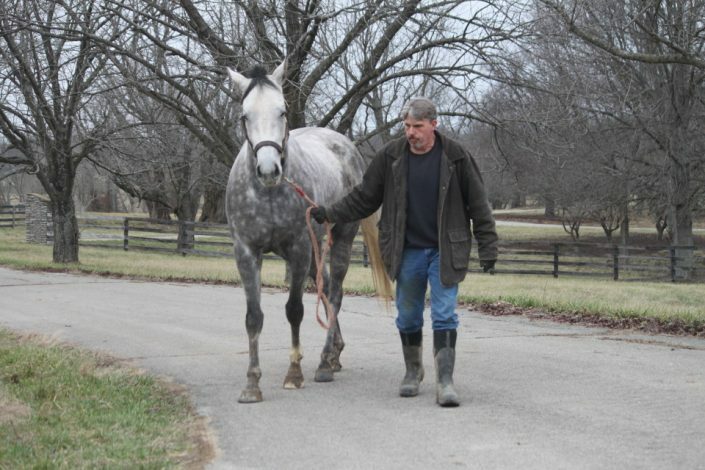 Prospect horses are still at the track or owner or trainer’s farm. We can tell you where the horse is when you call. 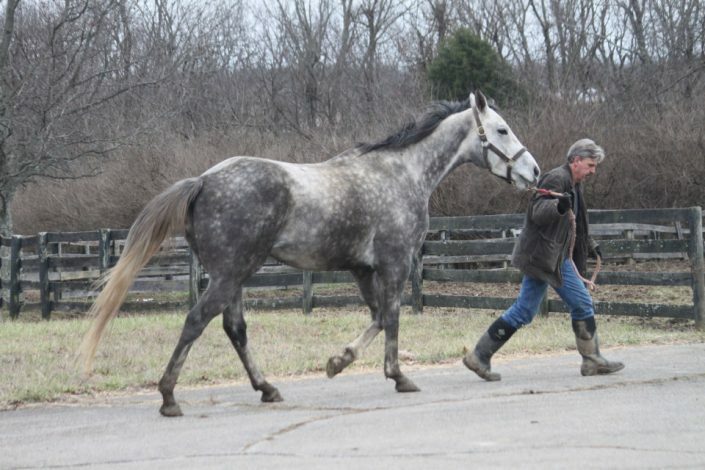 Thoroughbreds move from track to track and to the farm and back. 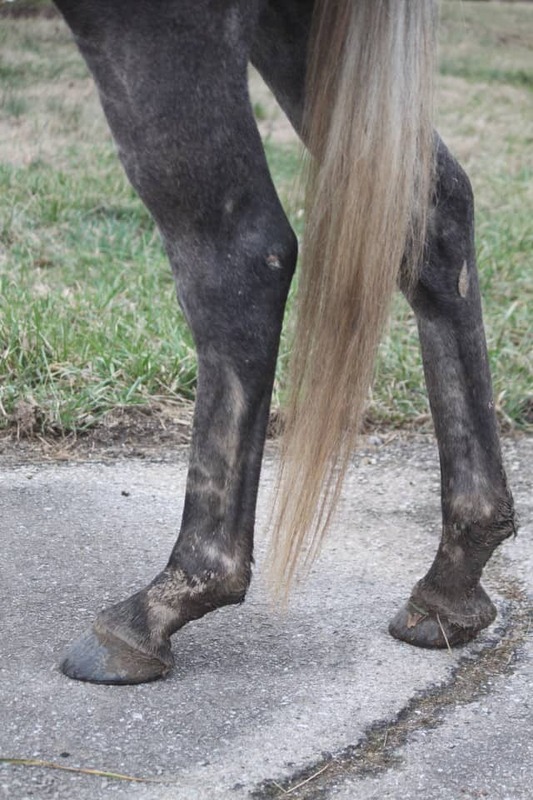 We cannot keep this web site current with so many horses listed and all moving around. That is why we don’t post the location. We are happy to share where the horse is when you call. We may have to make a phone call to find out where the horse is ourselves, but we are happy to share the info with you…if you call. Like this horse? What is the first step? READ these pages and then CALL . . . Between 9 AM-9 PM East Coast time. Before you call, you can save us all a lot of time by reading the information on these pages on our Bits & Bytes Farm Web site. 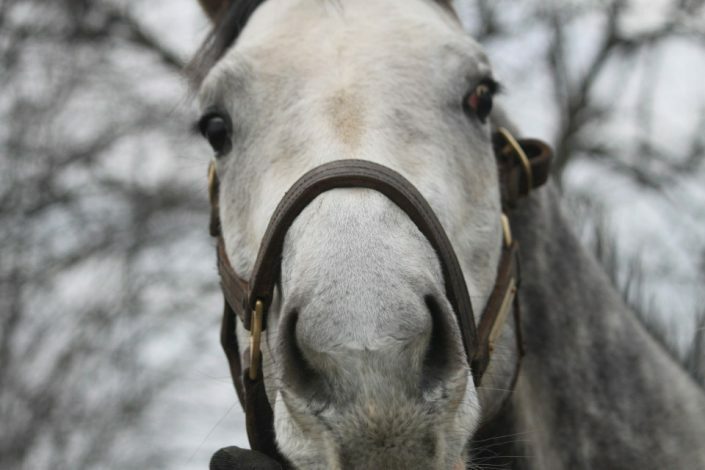 Please read our Pricing Information and Buying a Track Prospect Horse pages BEFORE calling! 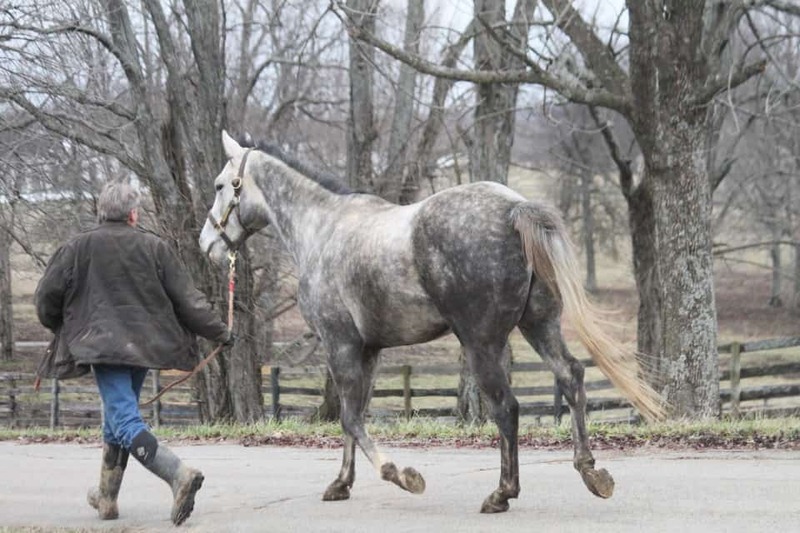 There are several more pages under the Buying Our Horses button. 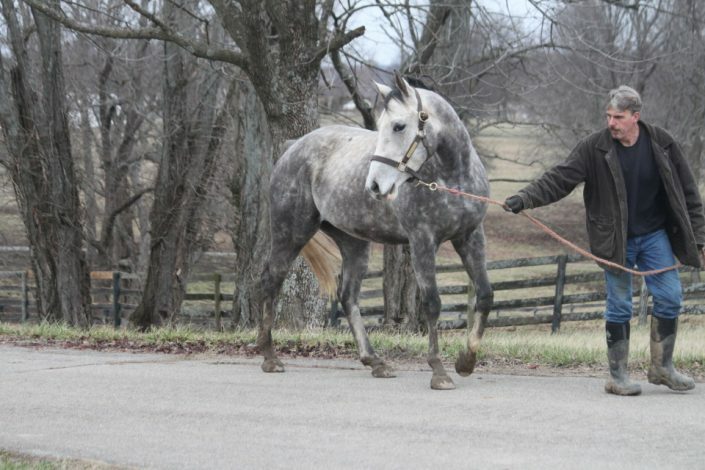 Prospect Horses at the Track will only be sold to buyers with the skills and support to make it a successful transition. 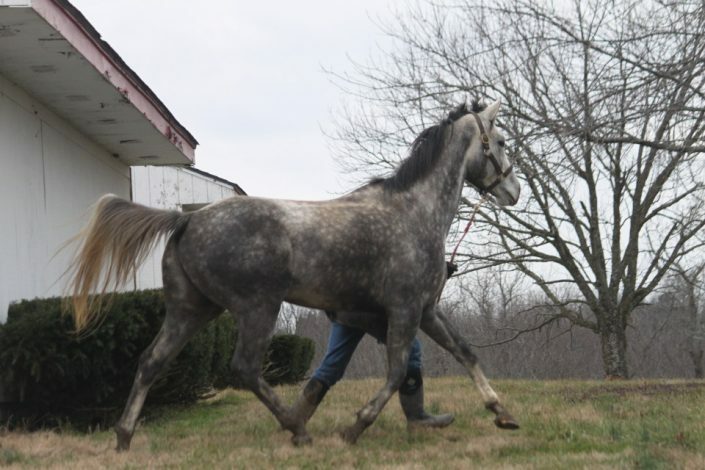 Prospect Horses are NOT at our farm. 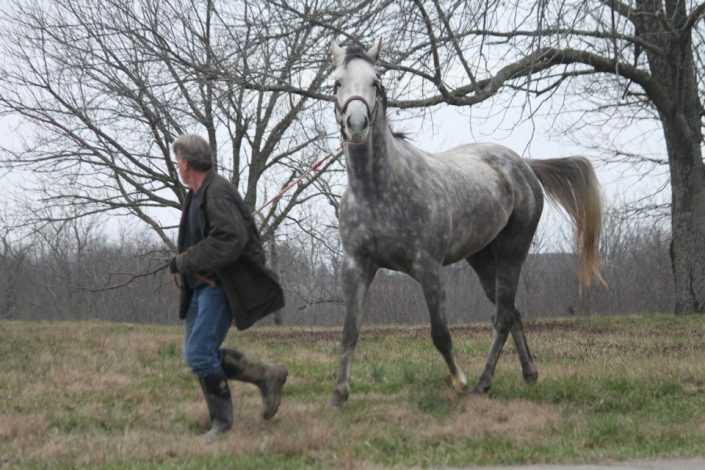 They are at the track or their owners’ farms. 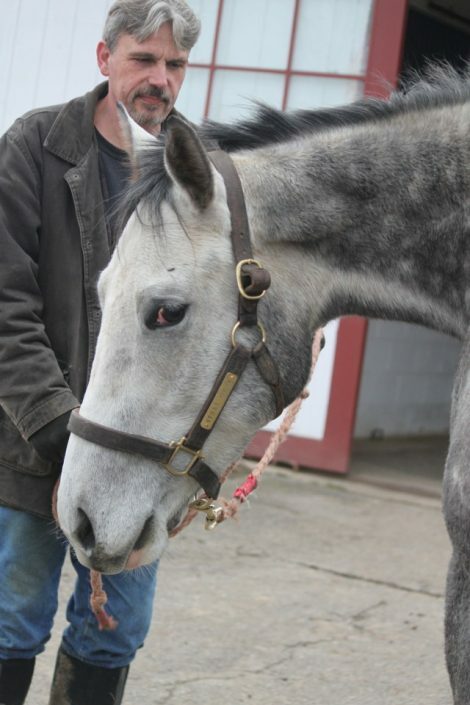 We do not sell horses for racing. 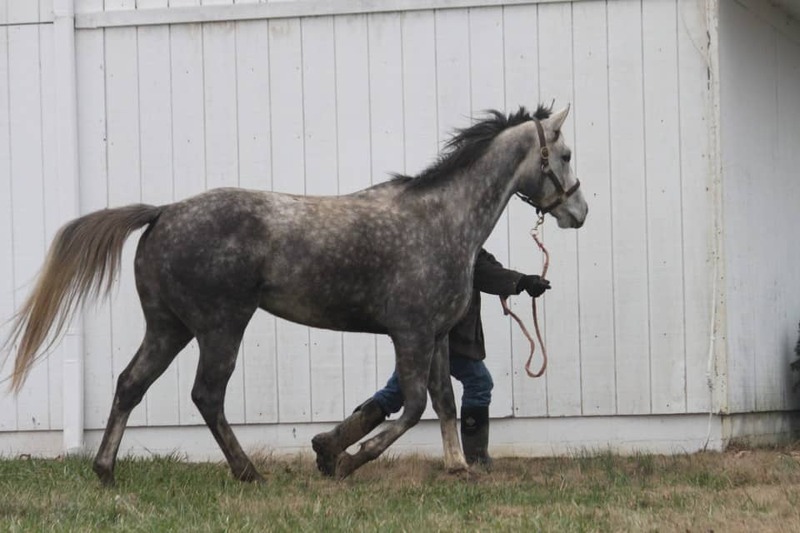 CALL if you are excited about one of the horses, but PLEASE READ the links above. We will not sell a horse if it is not a good match – no matter how much money you have. Are you a match? CALL and we can see. Our Phone: 770-704-6595 between 9AM and 9PM East Coast time! We are located in the Atlanta, GA area. Don’t wait to see if he is there tomorrow. Don’t wonder how much he is – CALL! Don’t wait to see what your friends say – CALL! 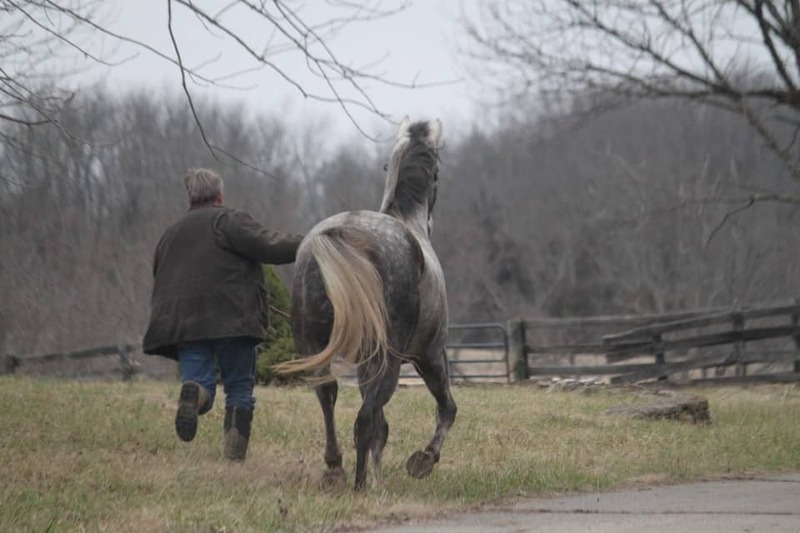 We are not going to talk you into buying a horse! More likely we will ask you to tell us about yourself and your goals. Then, we will help you find the right match or tell you to wait for other horses because none of the current horses are a match. Prices change based on what price the owner has set. We add a small markup for our services. 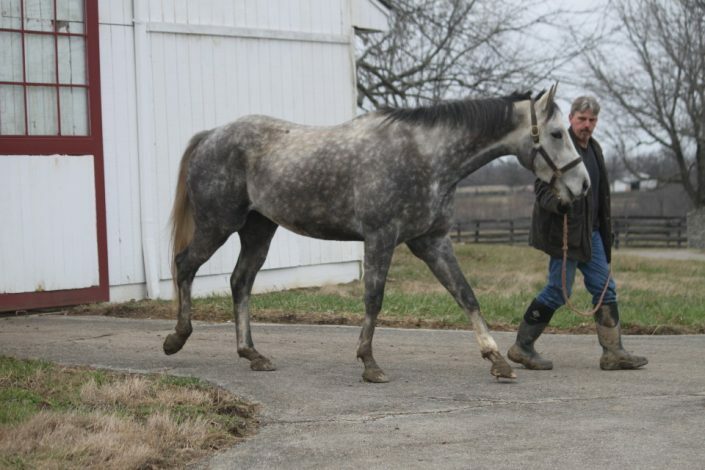 Prices can go up or down based on how the horse is racing or how quickly the owner wants the horse sold. 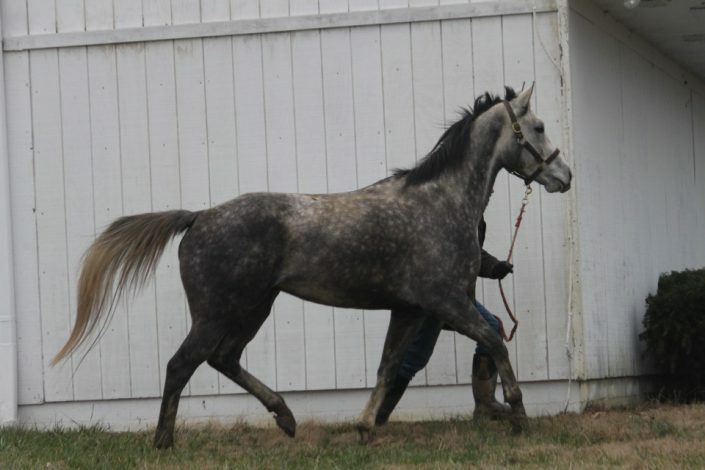 Most Prospect horses are priced under $5000 with the average being around $3500. 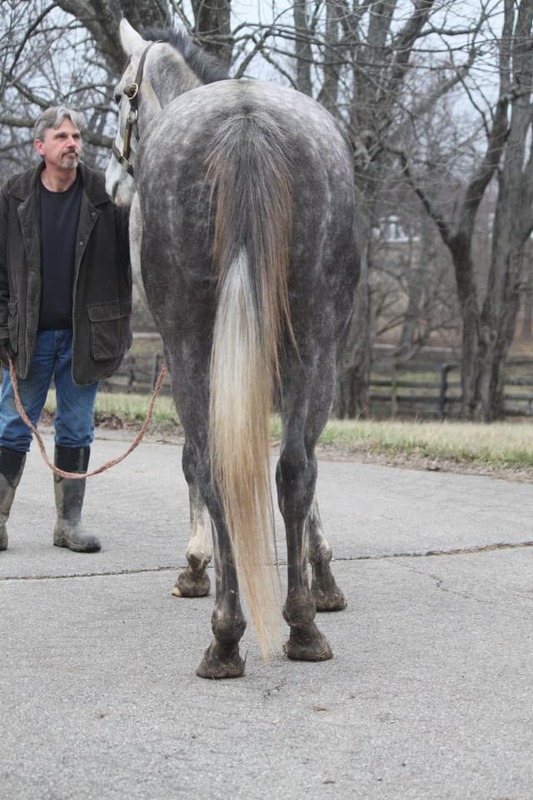 Big sound geldings, grey horses and tall horses usually cost more — but not always. Small mares are your best bet if you are price sensitive. 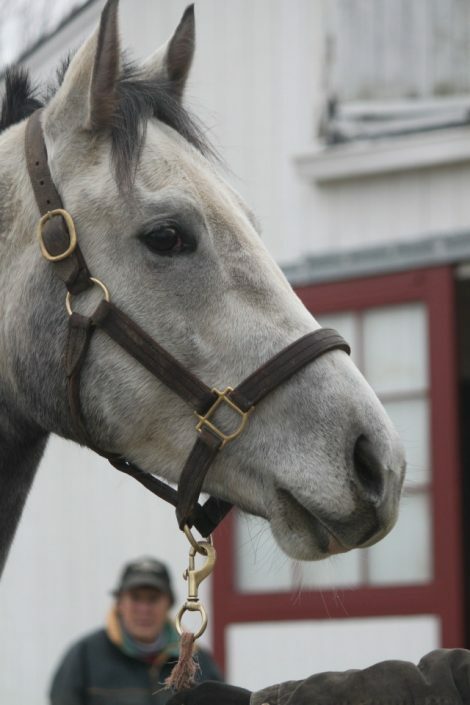 Please read our Pricing Information and Buying a Track Prospect Horse pages before calling. 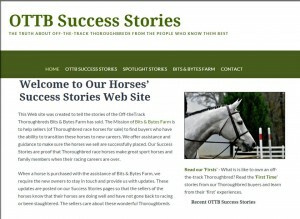 There are several more pages under theBuying Our Horses button at the top of this page. Prospect Horses at the Track will only be sold to buyers with the skills and support to make it a successful transition. 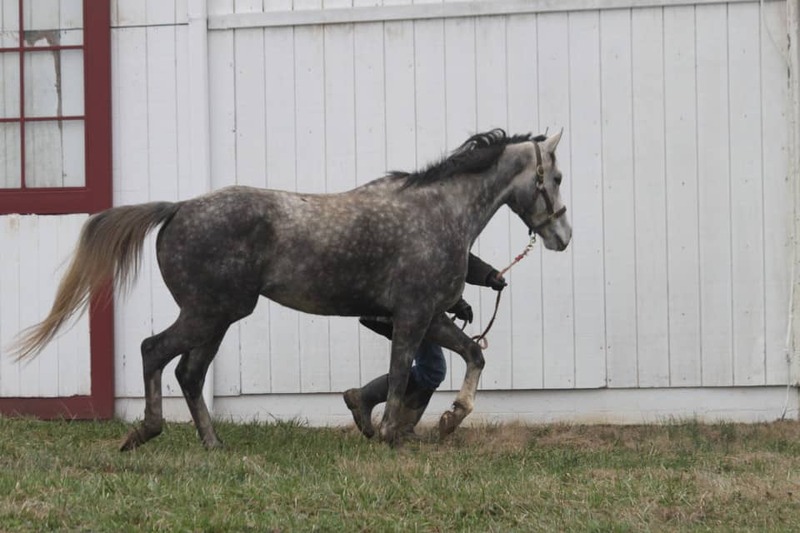 We DO NOT SELL HORSES FOR RACING! We can’t help you if you don’t call. Adults only please. Minors should have a parent or trainer call for them. 770-704-6595 between 9am and 9pm EST. Lynn’s Vision aka Bubba at his last race – July 5, 2008. 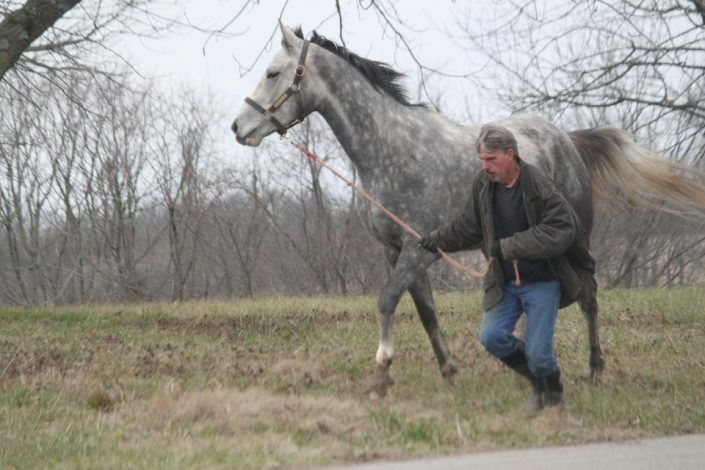 He was purchased by Melanie Eberhardt right after this race and brought back to Bits & Bytes Farm the next day. Melanie was riding him just one day later and he was a complete gentleman. 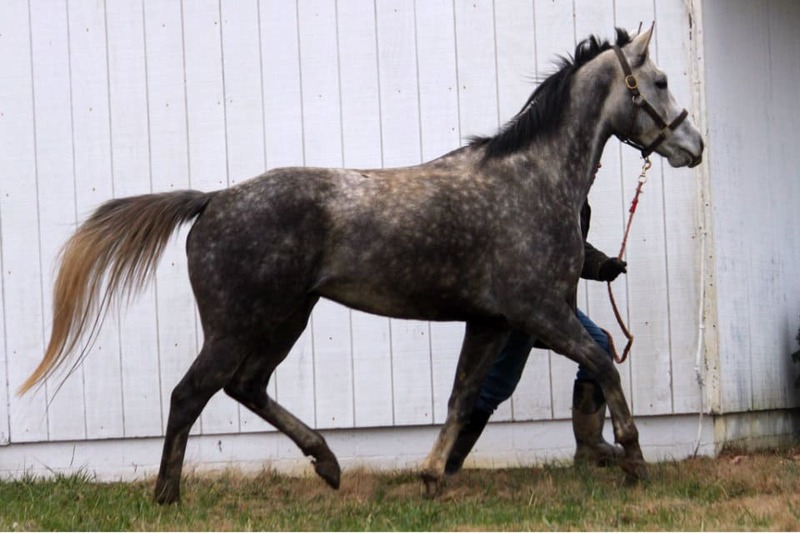 If you see a Thoroughbred horse that you are interested in, CALL! Let's not waste time with PMs and emails. 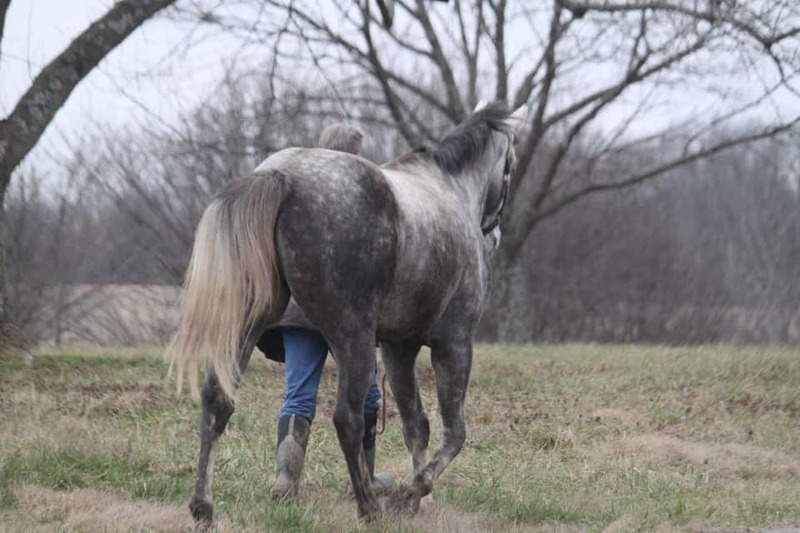 When you call, we can help you determine if the horse is right for you and if it fits your budget. You must call to get a price. We do not answer email request for pricing. Prices go up and prices go down based on how badly the trainer needs the horse sold. 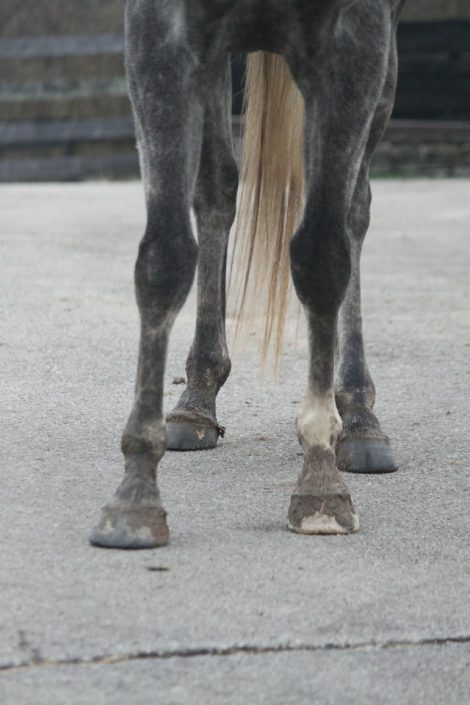 We do not sell horses just because you have the money to make the purchase. 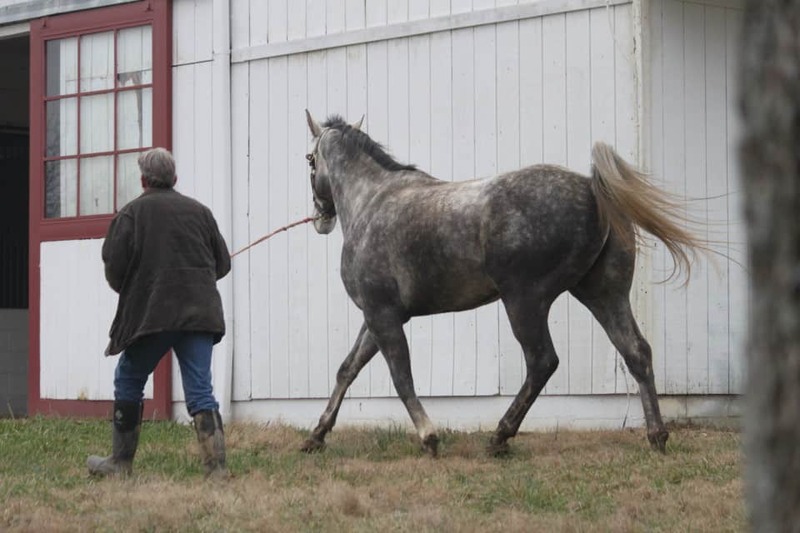 When you call, we will make sure that you understand what is involved in retraining and ex-race horse. We might recommend you not get a Thoroughbred if you do not have the right kind of support or knowledge.